Perhaps one of the biggest misapprehensions in regards to cryptocurrencies is the fact that they are anonymous and the transactions are undetectable. In fact, the vast majority of blockchains leave behind a record of transactions which, given the proper tools and resources, can be easily tracked. Take Bitcoin, for example. In the case of Bitcoin, the ledger is public and all transactions are completely exposed. It’s no wonder that some people who are very adamant about their privacy turn their attention to the so-called Privacy Coins or Privacy Tokens. Monero is without a doubt one of the most controversial cryptocurrency out there. This is partially thanks to its main selling point – its incredibly strong privacy and anonymity features – and partially thanks to its ever-growing links to illegal crimes and illegal activities from the past, such as money laundering. Even though Monero can be used for this, its also a top choice for people that put privacy first. The community around Monero is strong – and even if the cryptocurrency is focused on privacy – their team are open to communication with its users and more than helpful in cases when people need help. Monero is running on the CryptoNight Proof-of-work hash algorithm, as mentioned before, it has various privacy-oriented options. Three of the most popular Monero privacy features are the Ring Signatures, Stealth Addresses and the Ring Confidential Transactions (RingCT). A ring signature is a digital signature that brings together up to five signers into each transaction. In short, with the help of a ring signature, there’s no way of linking transactions to users since only the sender can create and send the key. In addition, only the recipient will be able to detect the sent key and to use the funds associated with it. The Stealth Address is a unique, one-time address created for each transaction. This ensures that users are not directly connected to the blockchain. Finally, Monero’s Ring Confidential Transactions ensure that each transaction is hidden on the Monero network. The Ring Confidential Transaction feature creates a cryptographic proof that ensures that the input and output amounts are equal. Monero is ranked 12th on CoinMarketCap, with a cap of $2,051,929,370 and a circulating supply of 16,168,382 XMR. Next on our list is Dash, another privacy coin that has made various headlines thanks to its similarities with Bitcoin, as well as its anonymity features. By far the best feature of Dash is its Masternode network. This two-tier network (secure servers connected to the network of Dash) acts as a stable platform for Dash’s other useful privacy features such as InstantSend, PrivateSend, and the Dash Budget System. InstantSend is a feature that enables instant transactions while PrivateSend will ensure the sender’s identity. Users will be able to send DASH instantly. In just a few words, PrivateSend ensures transaction privacy by hiding the current transaction between multiple similar ones. During this process, the masternodes mix the coins multiple times, thus, making them indistinguishable from other coins. Dash is ranked 14th on CoinMarketCap, with a total cap of $1,937,917,613 and a circulating supply of 8,154,812 DASH. 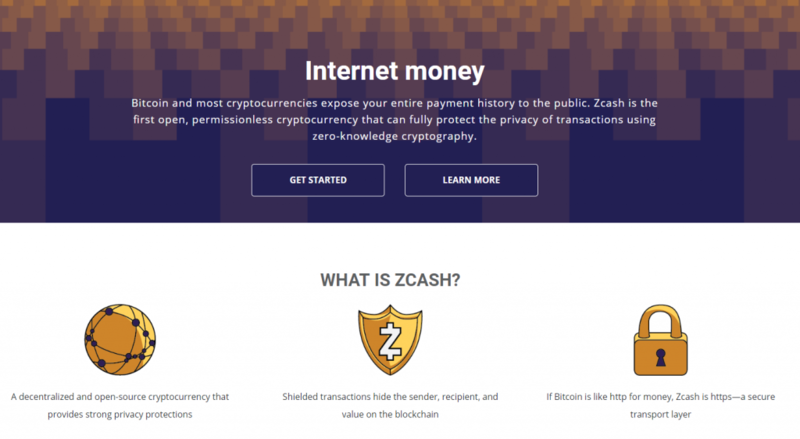 Zcash is yet another Bitcoin-based privacy coin. The main privacy technology behind Zcash is the zk-SNARK, short for zero-knowledge Succinct Non-Interactive Argument of Knowledge. The primary role of zk-SNARK is to encrypt all transactional data stored on the network. zk-SNARK allows two users to exchange information without having to reveal their identities. Unlike Monero which is private by default, on ZCash all these privacy features are optional. In short, users can opt for transparent or private addresses. Zcash is ranked 22nd on CoinMarketCap, with a total market value of $716,077,736 and a circulating supply of 4,222,206 ZEC. 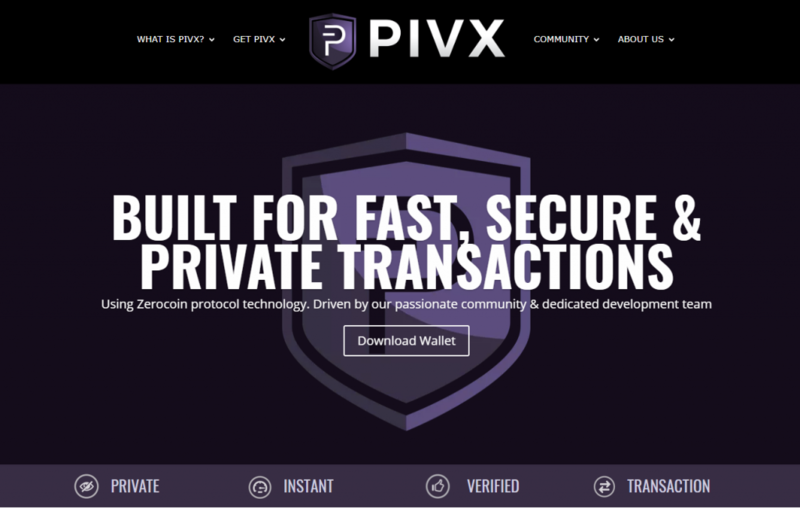 Even though it’s not in the upper half of the top 100 cryptocurrencies on CoinMarketCap, PIVX (abbreviation for Private Instant Verified Transaction (X)) is another noteworthy privacy coin for privacy-centric users that uses a zPOS ( Zerocoin Proof of stake) algorithm. The algorithm is designed for fully anonymous staking. PIVX uses the zerocoin protocol to assure their users a great level of privacy. In principle, it’s similar to Dash. For starters, its users can run master nodes to support the network and ensure that it runs as smoothly as possible. To command a node, users require a stake of at least 10.000 tokens which is a much higher value than what Dash requires for the same action (1.000 DASH). Through the SwiftTX implementation, the platform also provides its users with the possibility of performing instant transactions. SwiftTX transactions can be confirmed (by the network’s mastercode) and even be used within just a couple of seconds. PIVX is currently ranked 83rd on CoinMarketCap, with a total cap of $107,470,135 and a circulating supply of 56,580,501 PIVX. Bitcoin Private is a ZClassic fork that uses the zk-SNARK technology, and it’s said to be the privacy coin that provides the highest level of security of any blockchain network. Bitcoin Private is a mix of technologies used in Bitcoin and ZClassic. This also means that Bitcoin Private boasts the same privacy features as Zcash, meaning that transactions are completely anonymous. One of the most important features of Bitcoin Private is its Proof-of-Work algorithm dubbed EquiHash. This ensures a high degree of decentralization and democratization of the blockchain, as well as a decreased risk of attack. Other noteworthy features include transparent and shielded transactions, a voluntary miner contribution program, and a so-called treasury fund governance. Shielded transactions are transactions that are verifiable but indecipherable to third-parties. To ensure a high success rate for these transactions, Bitcoin Private uses a zk-SNARK system. The miner voluntary contribution program enables miners to donate ZClassic tokens to a governed treasury fund. In exchange, the miners will receive 1.25 BTCP after the fork for each ZCL collected up to 50.000 ZCL. The funds are distributed as follows: 50% on exchange listings, 25% for development, 15% for marketing, and 10% for general administrative costs. At the time of this writing, Bitcoin Private is currently ranked 46th on CoinMarketCap, with a total cap of $242,601,197 and a maximum supply of 21,000,000 BTCP. Let us know what privacy cryptocurrency you are most excited about and why in the comments section below.